Regency at White Oak Creek OverviewRegency at White Oak Creek is a new active lifestyle community with a prime location in Apex, North Carolina. These luxury ranch homes boast a low-maintenance lifestyle and are available on a new construction basis. The highly customizable residences are available on beautiful wooded home sites, allowing homeowners to experience the great outdoors of Central North Carolina. With Apex located just 25 minutes outside of Raleigh, residents have access to tons of local shopping, dining, and recreational options. 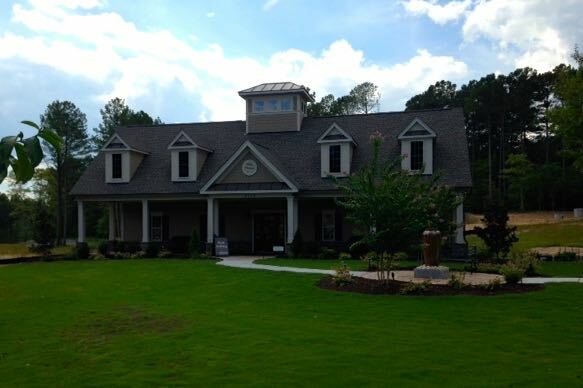 Nearby Jordan Lake means active adults in Regency at White Oak Creek have natural beauty right outside their doors. Regency at White Oak Creek homeowners have access to a variety of amenities both indoor and outdoor. Once construction is complete, a clubhouse will offer residents a gathering place for social activities and club meetings. The community will also feature an outdoor pool for relaxation and physical fitness. Active adults can explore the parks and open natural spaces, as well as the hiking and biking trails that wind through the community. 55+ homebuyers will love the low-maintenance single-level homes available in Regency at White Oak Creek. Homes here range in size from 1,781 to 2,224 square feet. These luxurious home models offer a variety of customization options, allowing homeowners to create a style that best fits their needs. Floor plans feature anywhere from two to five bedrooms, with most plans also featuring an optional den. They also include two or three bathrooms, and an attached two-car garage. Some of the many options available to homeowners in Regency at White Oak Creek are sunrooms, covered patios, naturally lit breakfast areas, and grand entryways. Residents will also enjoy the formal dining rooms and eat-in kitchens available. Thanks to on-site amenities as well as nearby parks and nature, there is no shortage of ways to stay busy at Regency at White Oak Creek. Residents can hold meetings for community clubs and activities in the clubhouse, or go for a swim in the pool. Friends and neighbors can meet up for regular hikes, or try their skills at cycling on the many trails throughout the grounds. Residents of Regency at White Oak Creek pay a homeowners' association fee that covers lawn maintenance, among other services, allowing residents to enjoy low-maintenance living. With less time spent on tedious tasks like lawn work and exterior care, active adults in this community can fully enjoy all of the amenities at their disposal. Regency at White Oak Creek is conveniently located in Apex, a suburb of Raleigh, North Carolina. This prime location means that residents are a short 25-minute drive away from world class dining, shops, and other attractions, including performance theaters and Clemmons State Forest. North Carolinians can also take advantage of the local sports teams, including the Carolina Hurricanes. More locally, Regency at White Oak Creek is near 1-540, making travel around the Apex area and beyond a breeze. Situated between Jordan Lake and the American Tobacco Trail, residents have no shortage of options when it comes to enjoying their natural surroundings. Additionally, healthcare is made easy with the Duke Raleigh hospital just 25 miles down the road. Active adults in Central North Carolina need to look no further than Regency at White Oak Creek for their perfect retirement living.